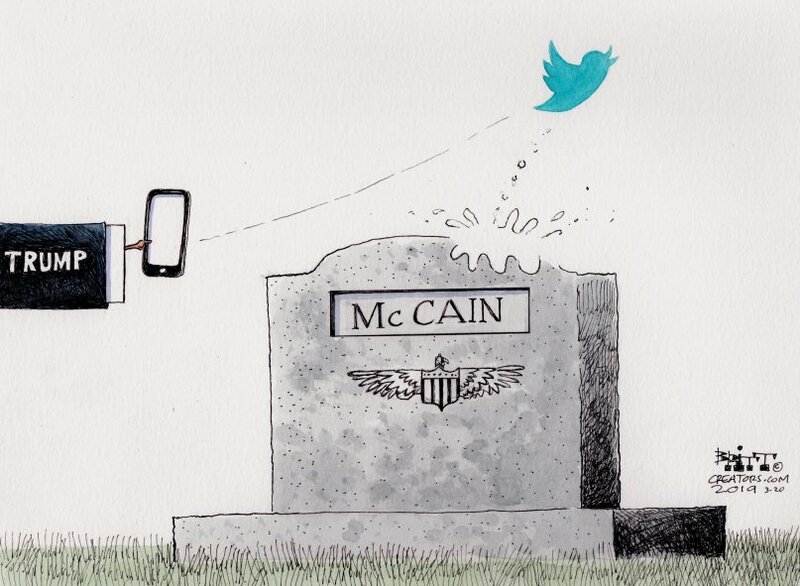 Former Sen. Bob Kerrey took a deserved swipe this week on CNN at President Trump for his repeated attacks on the late Sen. John McCain, who was held captive for five years during the Vietnam War and died of brain cancer in August. Kerrey, a former Navy SEAL who lost part of his right leg during the war, noted that Trump was able to wiggle out of serving in the war because he allegedly has bone spurs in his feet. Perhaps Trump will produce the x-rays along with his tax returns. 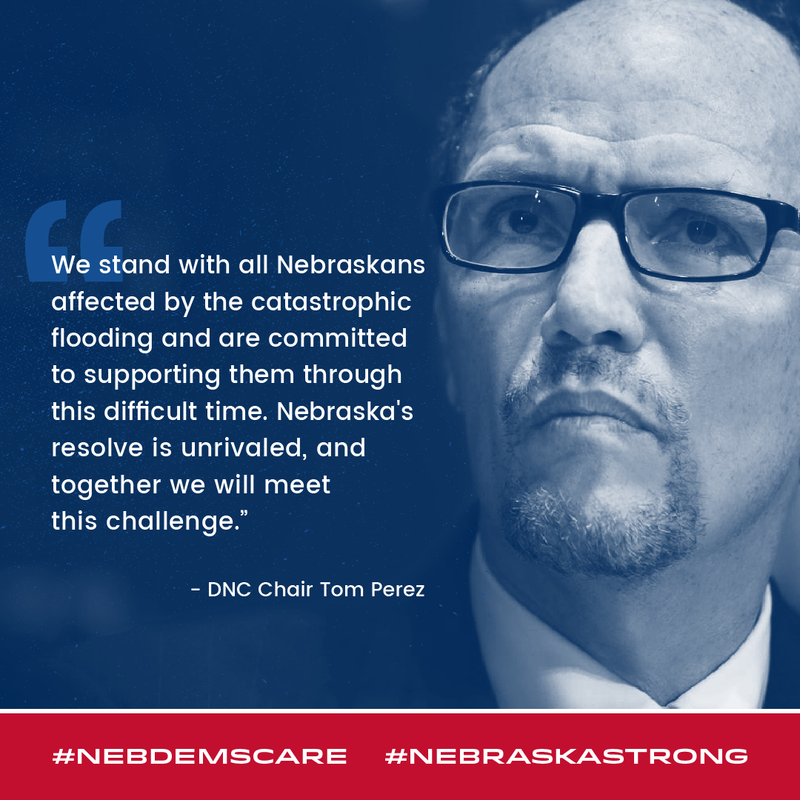 In case you missed it, NDP Chair Jane Kleeb, DNC Chair Tom Perez and DNC Vice Chair Rep. Grace Meng issued a joint statement Wednesday in solidarity with the thousands of Nebraskans being impacted by the widespread, devastating flooding. The NDP will collect items at our Lincoln and Omaha offices for residents we know need some help. Water, canned food and basic pantry items as well as coats, clothes for kids and adults, shoes of all sizes, cleaning supplies, disinfectants and blankets. We will also collect items at our State Central Committee meeting at the end of the month. Just a reminder that the NDP’s Salute to State Senators is coming up on April 8. The event includes dinner, drinks and live music with Mike and Kerry Semrad of the Bottletops. The rockstar theme, “For Those Who Write The Bills, We Salute You,” celebrates our rockstar State Senators! The SCC March Meeting in March 29-31 in Lincoln. Remember to get your meal tickets for Friday night dinner and Saturday lunch — breakfast on Saturday morning is on us! We have lots of great meetings and trainings scheduled for Friday, Saturday and Sunday Please consider staying on Sunday to help canvass for all the strong Dems running in the Lincoln city elections. This week, the NDP released a draft of its proposed 2020 Delegate Selection Plan (DSP) to send delegates to the Democratic National National Convention in Milwaukee, July 13-16, 2020. 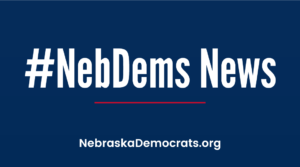 We’re working with partners across the state and from every community to create a process where every Nebraskan has a chance to be heard as we gear up for 2020. To ensure fairness and inclusivity in the process of finalizing the DSP, the NDP is opening up the draft for public comment during the 30-day comment period, which ends April 19. After a review of the public comments, the plan will then be revised and approved by the NDP State Executive Committee and submitted to the Democratic National Committee for review and approval. Read and comment on the plan here. 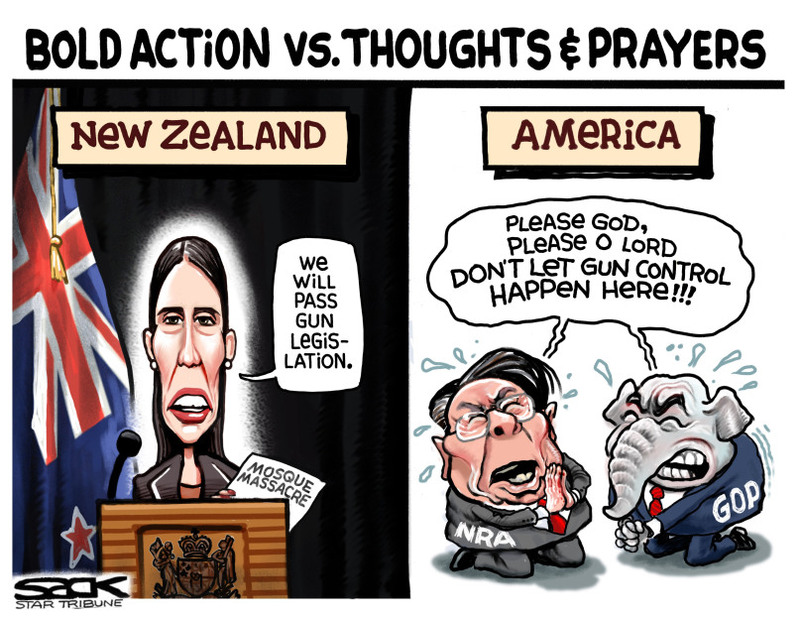 We finish this week with a political cartoon from Steve Sack of the Minneapolis Star Tribune after New Zealand Prime Minister Jacinda Ardern led the way to swifly enact a ban on all military-style semi-automatic weapons, assault rifles and high-capacity magazines following the mass shootings at two Christchurch mosques that killed 50 people.